Adware and malware programmers and botnet owners are looking for new ways to mass spread and get exposure to their money making methods. A new method they have been trying out requires a popular extension that already comes complete with a large, trusting user base, there is money to be made, as the developer of extension “Add to Feedly,” Amit Agarwal, discovered. As reported by Omg Chrome, the programmer, whose product has over 30,000 users, was contacted by someone who wished to buy the add-on. Amit revealed that the extension, which required at most an hour or so to develop, was well worth 4-figures to the person. That sort of figure would tempt most of us, after selling the ownership of the add-on, an update incorporated a different “feature” which included advertising. 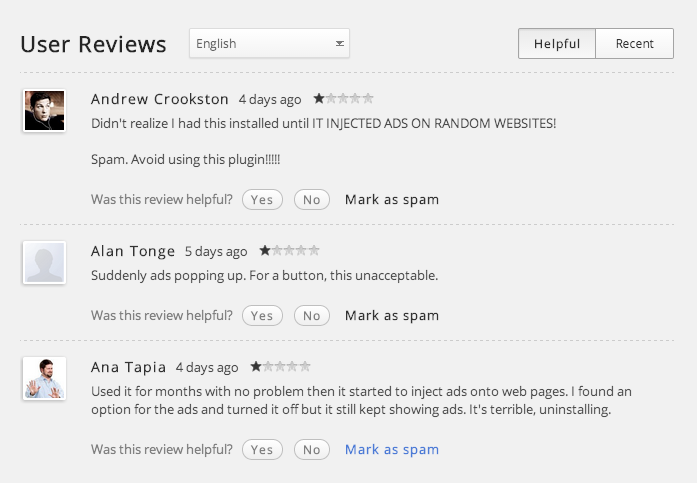 Users that were experiencing these ads and spam started complaining on the Google Web Store, where the original developer also commented. Another extension developer stated he has also been contacted by a number of malware companies some even offering as much as six figures per month. Google and its users need to keep an eye out for this new method of advertising spam that has proved to be very effective and is likely other adware companies will copy.